SHANTH ENJETI: Sneak a Peak at "Speakeasy Studios"
Sneak a Peak at "Speakeasy Studios"
Here's a look at the studio where I create my work. High ceilings and lots of inspiration in the form of art books, wall art, and the landscape paintings of stablemate Nicholas E. Jainschigg. 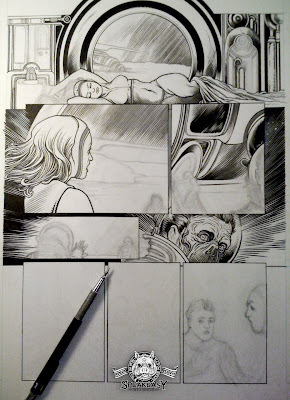 A page of sequential comic art that I am drawing, currently on my desk at the studio. 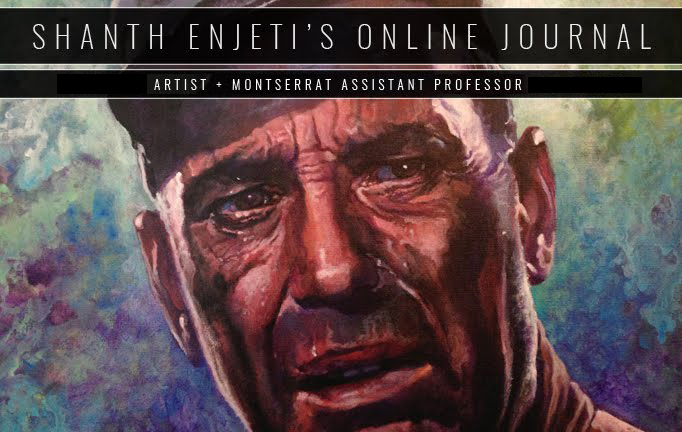 Lastly, is an image showcasing the biggest influence on a painting I posted a while back. Many have noted the obvious similarity to the pose and look of the figure in John Singer Sargent's "Madame X". 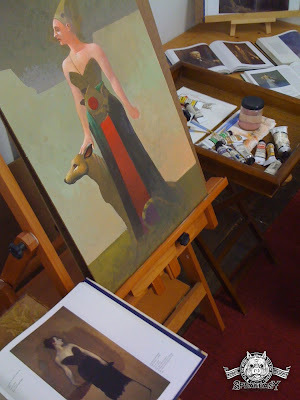 The painting I am actually inspired by is another version of the painting titled, "Madame Gautreau (Unfinished)", in addition to referencing the work of Thomas Wilmer Dewing, N.C. Wyeth, Alphonse Mucha, Jean-Léon Gérôme, and Manfred Schatz.